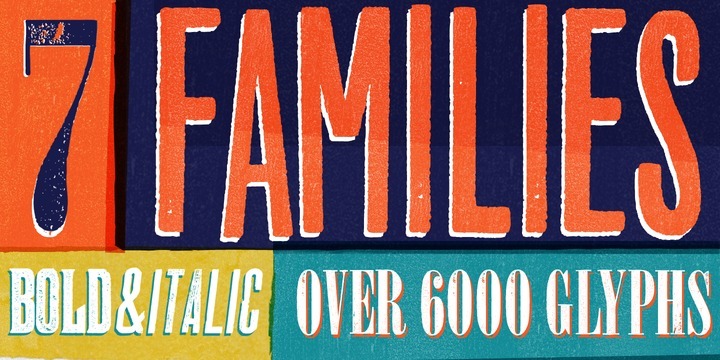 Wood type collection is a striking typeface from Borutta. It can also be defined as a set of brilliant, warm and windswept handmade typefaces. The designer Mateusz Machalski took special care of using a mix of new and old technologies to create the font. The basic inspiration for this collection emerged from a wooden letter blocks and a range of old technologies used widely for printing.The lettering supports 40 different languages and consist of more than 6000 glyphs.